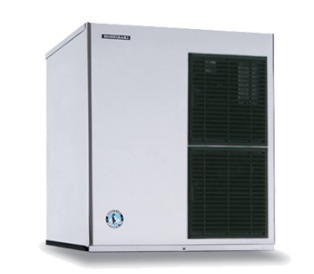 Hoshizaki Ice Machine F-1501MRJ-C- Cubelet-Style, remote air-cooled, remote condenser (priced separately), produces up to 1335 pounds of Cubelet-Style ice every 24 hours. Stainless steel finish, compressed cubelet style ice, R-404A refrigerant. NSF, UL listed. Energy Star certified.